VOLKSWAGEN has rolled out a concept car capable of sipping five times less fuel than a Prius. The two-seat XL1 Super Efficient Vehicle concept follows on from the L1 concept launched in 2009, but dumps the previous 299cc single-cylinder diesel engine for an 800cc twin-cylinder version. Despite the bigger motor, the new car is more efficient, using just 0.75 litres per 100km compared with 0.99L/100km for the L1. The single-cylinder diesel engine mates to a small plug-in electric motor that can either power the car along using battery power alone, or step in to assist the diesel engine when needed. Carbon dioxide emissions are just 24 grams per kilometre. Toyota's Prius hybrid — a conventional-looking five-seat car that uses a pair of electric motors — manages to achieve an official fuel use figure of 3.9L/100km from its 1.6-litre four-cylinder pretrol engine, with emissions of 89g/100km. Over 15,000km of driving, the XL1 will use a little more than 110 litres of fuel . By comparison, the Prius will use more than 580 litres of fuel. The XL1's diesel engine produces 35kW of power and 120Nm of torque, while the electric motor generates 20kW and a hefty 100Nm.Another big change is the seating position. Where the L1 sat the passenger directly behind the driver, the XL1 takes the concept a step further by placing driver and passenger side by side. That means instead of an overhead canopy that swings to one side - one of the drawbacks of the L1 design - the XL1 uses a pair of supercar-inspired scissor doors to improve the ease of getting in or out of the low-slung car. The penalty for this is width, with the XL1 gaining more than 400mm across its beam to grow to 1665mm. All up, the XL1 weighs 795kg, more than twice the 290kg weight of the 2009 car. Underneath the carbon fibre skin is a range of weight-saving technologies that have the potential to make their way into more conventional Volkswagen models. These include the bucket seats, which weigh just 40kg each, and ceramic brakes that again are more at home in a catalogue for a high-priced supercar than an everyday commuter vehicle. The car maker has also developed a special process that allows it to build strength in plastic components by reinforcing them with carbon fibre. Steel or iron components contribute 184kg in weight. 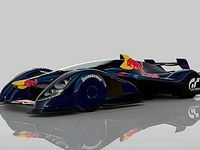 Other metal components include magnesium wheels and and aluminium components for the suspension's dampers, the steering system and brake calipers.The engine and electric motor provide drive to the rear wheels using a seven-speed dual-clutch gearbox, with the whole drivetrain weighing in at 227kg. The electric motor and its battery system add another 105kg, Volkswagen says.Performance has improved - the 0-100km/h sprint has fallen from 14.3 to 11.9 secs in the leap from the L1 to the LX1 - and the top speed is still limited to 160km/h. 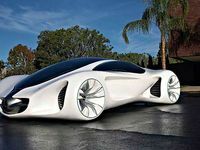 The extra weight appears to have cut into range, which falls from 670km for the 2009 concept to a rubbery figure of about 550km, Volkswagen says. The fuel tank has kept its 10-litre capacity between generations. According to Volkswagen, the XL1 uses technology that makes it ''viable for series production'', suggesting it could go on sale within the next few years. ''Although the XL1 is still very much a concept, its unveiling marks the next step towards the birth of a new class of super-efficient vehicles, while the advent of a process such as [reinforcing plastics with carbon fibre] is a significant milestone,'' VW says. 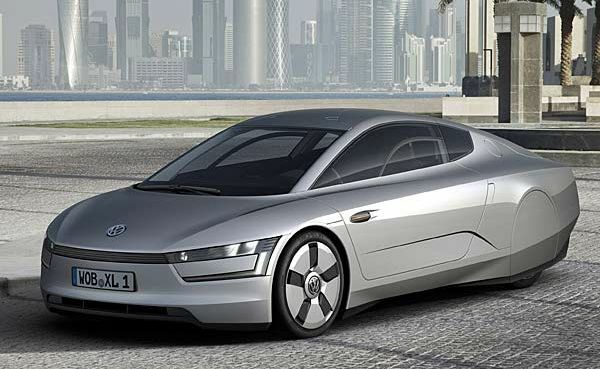 The XL1 Super Efficient Vehicle concept was unveiled overnight at the Qatar motor show in the Middle East.